Fitbit Charge HR and Surge are now available to buy, but which should you get? Fitbit's latest fitness trackers - the Fitbit Surge and Fitbit Charge HR - are now on sale in the UK. 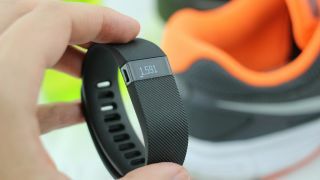 Fitbit confirmed that both are available to buy online and in some brick-and-mortar stores, including PC World, Currys and John Lewis. But wait! Before you go out and spend your hard earned cash, which one is best for you? If you want a fitness tracker with a few smartwatch features sprinkled on top then the Charge HR (which sticks a heart rate monitor on last year's Charge) will be right up your street. But if you want the full smartwatch experience as well as all the activity business, you're best coughing up a bit more for the Surge. The Charge HR costs £119.99, while the Surge is going for £199.99.